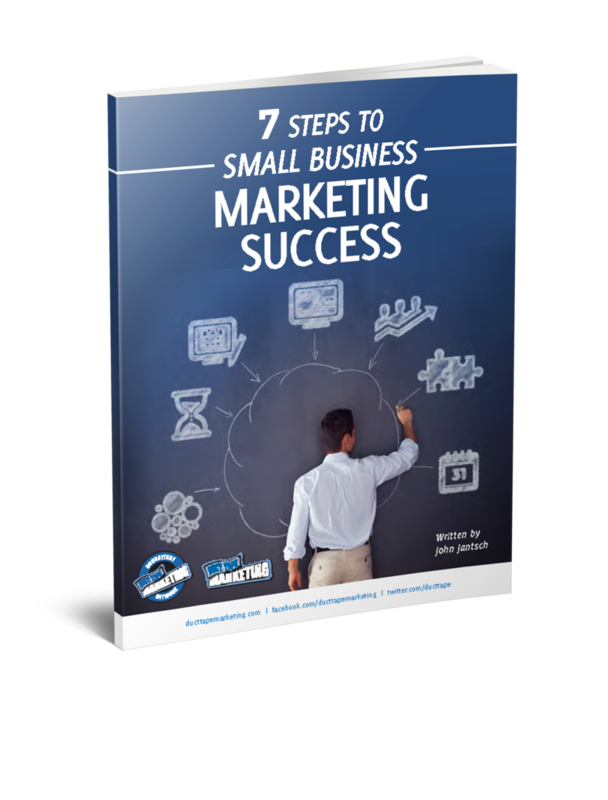 While the title of this post may seem a little odd or even off-putting, when it comes right down to it a lot of sales and marketing involves purchasing business. When you advertise, you invest in the opportunity to generate customers. When a salesperson prospects and goes on a sales call, you’re investing time and salary or commission in the act of acquiring customers. Here’s what I know – most small business owners invest far too little in marketing, in part, because they don’t fully understand how to do so confidently. I mean, if you write a check to Facebook or Google and have no sense of what will happen and what it will be worth, it can be a little intimidating. Let me ask this – if you knew, with complete certainty that for every $2 you spent, you would get $5 back – would you go get all the $2 bills you could find? To understand how much you can invest or, better yet, should invest in marketing you must understand what a lead and ultimately a customer is worth to your business. These may seem like rather advanced metrics, but they are critical if you are to grow. Quite often the thing that chokes off growth is the failure to invest properly in marketing. If you know that a customer is worth, say, $10,000 a year and yet you only invest a few hundred every month in acquiring them, you are effectively suffocating your ability to grow. Now I’m not suggesting you spend for spend sake, note that I’ve used the word “invest” to describe this activity, but to invest wisely you must understand a few important metrics. I love tracking conversion rate on the whole, but the following three pieces of the puzzle should be considered separately to get a complete picture of conversion in your business. 1) Value of a Lead – This is every visit to your website or subscriber on your email list. For example, if you have 1000 subscribers and your email marketing efforts generate $10,000 a year, you could say that the value of 1 subscriber on your list $10. Armed with this knowledge you might start to think of some new ways to focus on list growth, not for growth sake, but to generate far greater opportunities for business. Or if your site had 25,000 visitors last month and you made $25,000 net profit – that’s an average of $1 per visitor. I realize that this may be a gross oversimplification of the many moving parts in your business, but the goal here is to narrow your focus on just a handful of things so you can stay focused and hopefully stop wasting time on things that don’t matter. With this number, you can begin to focus on how much you can spend to generate more traffic or more sign-ups. Here’s a nice article from FormStack that goes into the factors involved in calculating the value of a lead. 2) Lifetime value of a customer – this is the amount of profit a customer returns over the lifetime of being a customer. 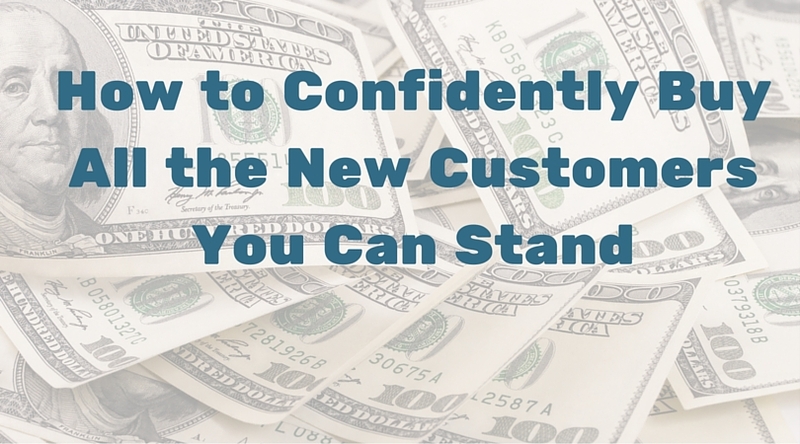 This number allows you to think about how much you can invest to land a new customer. If a customer is potentially worth thousands to your business over a three-year span, for example, you know how much you can spend or are willing to spend to get that customer, knowing that if you keep them happy, it will be money well spent. The other thing this number allows you to do is think about cost vs. return in your business model. If you can create a product/service mix that allows you to recoup your marketing investment with the first sale, you can then go to work on selling more from a break even point. One of the most potent ways to grow a business is to spend every dime you can to break even on the first sale and then go to work on selling 20-30% of those customers a far higher priced, higher profit service. In this model, your customers are paying you to market to them and armed with your increasing lifetime number; you know what you can and should invest every single month. This kind of turns the % of revenue model for marketing investment on its head, and that’s a good thing. Here’s a more complex description of the formula that can go into calculating the lifetime value of a customer. 3) Cost to acquire a new customer – this is the marketing spend required on average to acquire a new customer. This can be a moving target for some businesses, but it’s a key factor in creating your marketing budget and understanding the value of your marketing activities. This is the most important number when it comes to assessing the effectiveness of your marketing channels or traffic sources. For example, if your lifetime value is $100 over a year and your cost to acquire a new customer on average is $25, but the cost to acquire customers in a channel like Google AdWords is $75, you might reconsider that channel. If you’ve never tried to determine this number, you may have to take a fairly crude approach at first and simply determine how much you spent last year on marketing and divide it by how many new customers you acquired. This will change as you start investing in new approaches and tracking effectiveness. Here’s another great article from the folks at Kissmetrics on calculating customer acquisition cost. Initially, you should spend some time and create guestimates for each of this metrics, so you have something with which to start working. From there you start to refine the inputs that go into each number so you can lay the entire picture out on a dashboard or spreadsheet that allows you to monitor changes and accuracy over time. When you get the point where this thinking permeates your marketing approach, and you can clearly see what every dollar you invest returns, you’ll be ready to buy all the business you can handle.